When it comes to liquor, the connoiseurs prefer it served well. Alcohol of any type, be it beer, wine, champagne or other spirits, provide more flavour and add that extra zing when served with appropriate food items and in a proper style. A bottle of beer would not be worth gulping down if it comes to you all warm and fizzless. At Calgary dial a bottle, we ensure that you get your liquor refreshing cold. 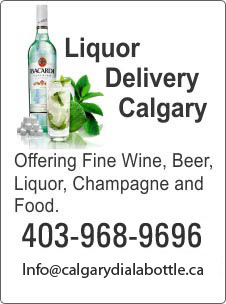 If you want good liquor delivered at your doorstep, then dial a bottle calgary is surely the name you can bank on. We have years of experience in catering to clients all over the city and guarantee a timely delivery. With our dial a bottle service, you can rest asured that you will get your liquor order delivered within one hour at your home. This is not all, we have a team of experts who can also assist you by providing useful tips on how to enjoy your drinks and food in the best way. One of the best features of our service is that we cater to clients for all possible occasions. We deliver liquor for parties, birtdays etc. Even if it is just for the family, you can count on us to deliver the liquor cold and well packed to you. We have a tie-up with a number of good liquor stores. And if you are looking for that exotic wine or any other exotic drink, we will definitely deliver it to you. Our delivery system is well organized and our staff is familiar with the entire city which ensures that the orders are delivered on time. When it comes to quality, we do not compromise with it. You will only get quality liquor delieverd to you, that is our guarantee. We understand the importance of quality beverages for a special occasion and ensure that you get only the best. Moreoevr, we offer qualiyty products at an affordable price. 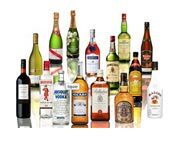 With liquor delivery Calgary, you will get the best of liquor delivered at your doorstep within an hour and that too at an unmatchable price. What adds cherry to the cake is that we have options galore and you can order almost any type of liquor ranging from beer or wine to spirits. We also offer gift wrapping service and you can gift a nicely packed bottle of alcoloh to a loved one. So next time you need drinks, call us and feel the difference.